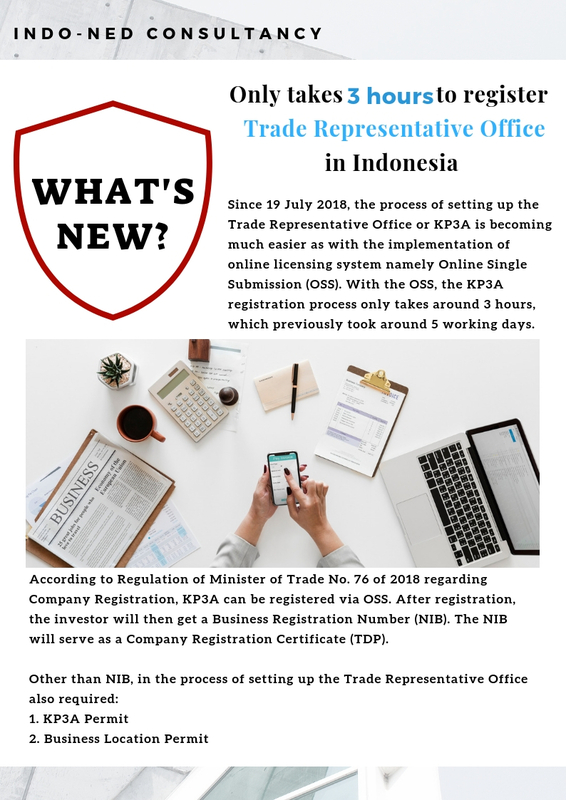 Since 19 July 2018, the process of setting up the Trade Representative Office or KP3A is becoming much easier as with the implementation of online licensing system namely Online Single Submission (OSS). 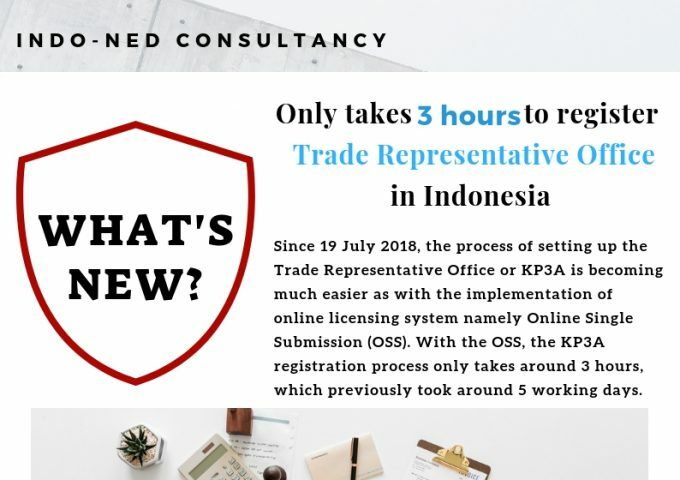 With the OSS, the KP3A registration process only takes around 3 hours, which previously took around 5 working days. According to Regulation of Minister of Trade No. 76 of 2018 regarding Company Registration, KP3A can be registered via OSS. After registration, the investor will then get a Business Registration Number (NIB). If you still have questions or have a plan to establish a Trade Representative Office in Indonesia, feel free to contact us anytime. 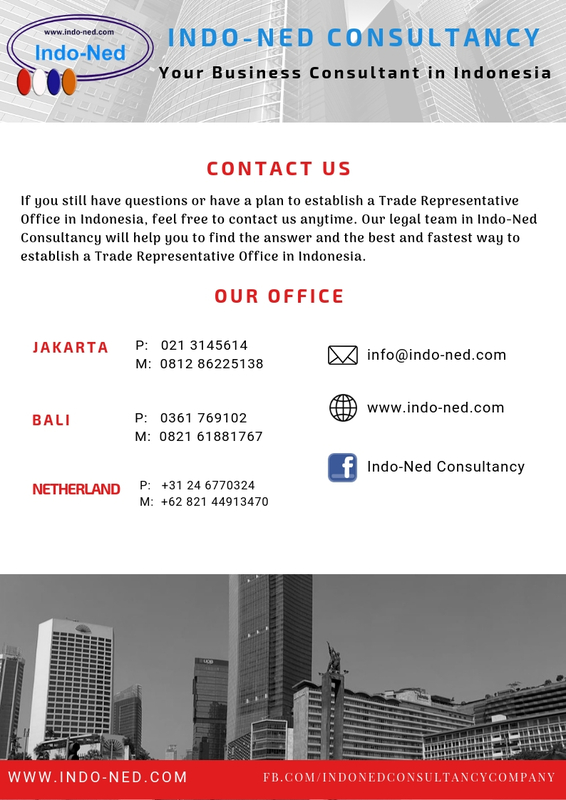 Our legal team in Indo-Ned Consultancy will help you to find the answer and the best and fastest way to establish a Trade Representative Office in Indonesia. Get a free consultation with our legal team by filling this form.